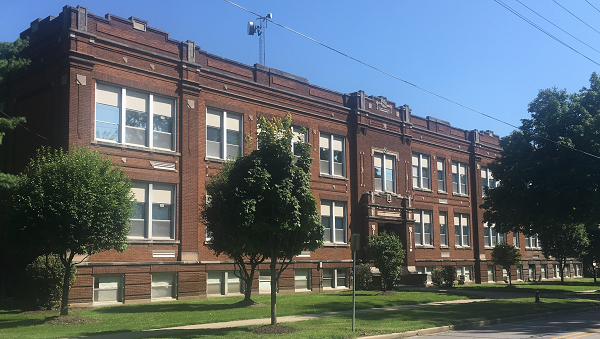 KENDALLVILLE — Ownership of the former East Noble Middle School building was officially transferred Wednesday from East Noble School Corp. to the City of Kendallville. The transfer marks the start of a new phase in local efforts to transform the facility into a community learning center. While the city will own the building, no taxpayer dollars will be used to support it. An agreement between the city and the Dekko Foundation calls for the establishment of a $1 million endowment fund at the Community Foundation of Noble County. The fund will be used to cover a portion of the community learning center’s operating costs or to demolish the building if the project ultimately proves to be unsuccessful. Costs associated with the maintenance and upkeep of the building, utilities, and insurance also will be provided for by the Dekko Foundation until the community learning center is operational. A new nonprofit organization, The Community Learning Center, Inc., was formed and will take over ownership of the former middle school from the city once it receives its tax-exempt designation from the IRS. Tim Holcomb, former director of Impact Institute in Kendallville, was contracted to serve as project manager for the community learning center.